A sanctuary in the bush to re-charge your soul is what Ol Lentille is all about. A long weekend break? Why not? It is a place where you can see animals but so much more – a romantic retreat for a first stop on a honeymoon or to rekindle love…. and all at an incredibly good price. • Stay four nights all in from £1,150 per person. 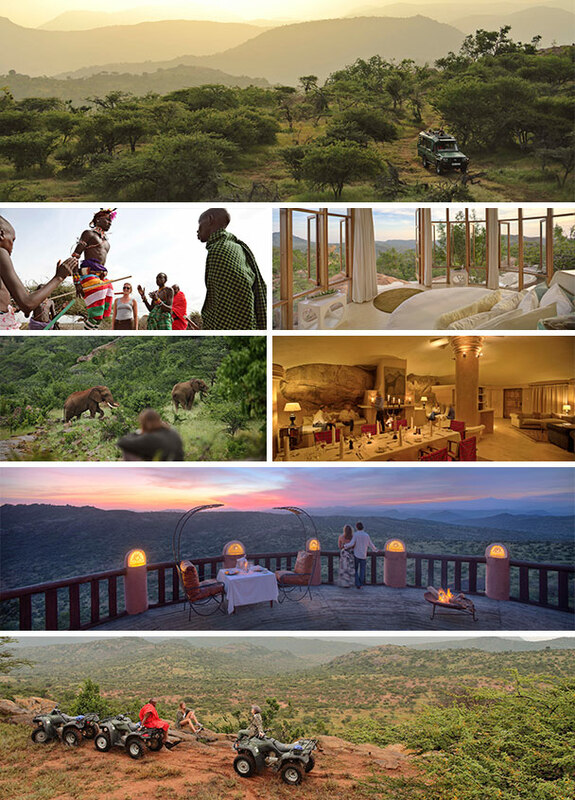 • A small collection of private bush houses; private activities, unlimited spa. • Walking, horse and camel riding, cultural community experiences, quad and mountain biking. • Early morning game drives available but not obligatory! This is a place to relax. • Over 40,000 acres of land to roam, nearly three times bigger than Manhattan. • Your visit empowers communities: since 2007 the lodge has built four schools, numerous classrooms and a hospital and funded water projects. • Ol Lentille is a pioneering example of how private partnerships with the community can work successfully in Kenya. A wonderfully diverse destination with so much to offer. The South Luangwa Park is probably Zambia’s most productive park on the game-viewing front and is one of the best places for viewing leopard in Africa. The Shenton family have been looking after keen safari goers since 1992 with their small, two-camp operation deep within the park. • 95% of guests see leopard. • The park’s special photographic hides are are so effective they are used by the BBC, National Geographic and other top film producers; there is no bumping around in the vehicle whilst you check out the action. • In September/October the carmine bee-eaters nest in the riverbanks; the spectacle is intense, colourful and dazzling. • The main lodge is right on the riverbank and often game is seen from your room. • The Bush Camp, simpler in style, is brilliant for walking, with a maximum of six guests on any expedition. • All power is solar generated and the windows are fly-wired rather than glazed, so you have an unimpeded view of the stars and can hear the roaring of lion, the rasping cough of leopard and the drumming of the ground hornbill. 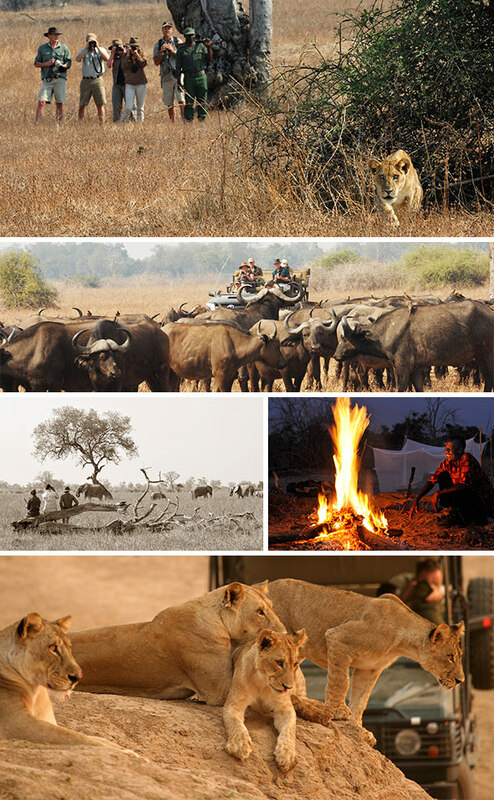 • For the ultimate bush experience there are two-star beds for sleep outs on a platform.